Bacillus Coagulans is a powerful probiotic strain that is therapeutically prescribed to patients needing acute immune support in Israel, France & Germany. Research and clinical practice has shown strong evidence for B. coagulans’s ability to fight off invading viruses & pathogens. 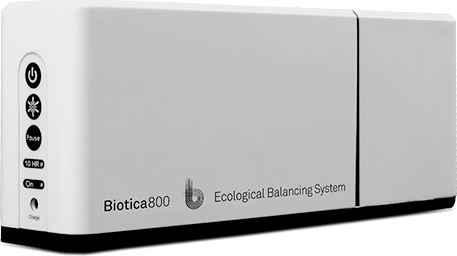 Bacillus coagulans typically lives in the digestive tract and has also been shown to decrease IBS (irritable bowel syndrome) abdominal pain and bloating symptoms. 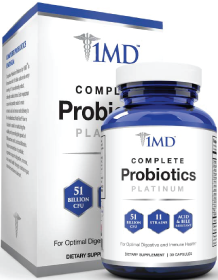 This probiotic is extremely hardy and can easily survive stomach acid to colonize the entire GI tract. B. coagulans is closely related to other soil-based-organism probiotics. This probiotic was first discovered around 1930. Interestingly, this probiotic was used in WWII to treat people with digestive issues such as dysentery. Digest Strong – Probiotic Man Blend contains large doses of B. Coagulans. This men’s probiotic is also optimized for men’s digestive health. And this supplement also has B. Coagulans’s immunity benefits. I personally helped engineer this blend’s formula. So I know it contains the best probiotics (like B. Coagulans) for men’s digestive health. Here is a full list of B. coagulans side effects. Hun L. Bacillus coagulans significantly improved abdominal pain and bloating in patients with IBS. Postgrad Med. 2009 Mar;121(2):119-24. Baron M. A patented strain of Bacillus coagulans increased immune response to viral challenge. Postgrad Med. 2009 Mar;121(2):114-8. I have read of this probiotic several years ago when this probiotic was called Lactobacillus sporogenes. I was developing a water soluble probiotic product then. When the company was not able to provide me technical information, I switched to Lactobacillus acidophilus and others like E faecium and Bifidobacterium. I am still interested in this organism for my development of a feed additive product and would appreciate if you would provide me with more information and perhaps we could pursue opportunities of developing a market for your product together. Incidentally I have written to Ganedan and have not received any reply from them and I hope this enquiry will yield a positive reply. I’m sorry I don’t have any contacts for you regarding that probiotic. I’d follow up with a phone call or perhaps contact another scientist or lab that has researched that probiotic. I have tried to drink, take pills with probiotics but any product with this ingredient gets me into a heartburn, makes my stomach feel like it’s stinging . It also worsened my abdominal pain as in created spasms in the abdominal area . I’m sorry you’ve been experiencing side effects from those probiotics. Have you tried taking other probiotics without B Coagulans? Maybe a product with L. Acidophilus? I have IBS and read that bacillus coagulants could help. I started taking “Bacillus Coagulans 5 BILLION (60 Veggie Caps)” and started having more gas than I already had. I read your notation that this could be the initial reaction and to cut back. These are in capsule form and I could open the capsule and pour out some of the contents. How long should I cut back before starting again with the full dosage? If I were in your situation, I would first stop taking to probiotics completely…and wait until my gas went down. After the gas went down, then I would try taking 1 pill evey Monday and Friday…and see how that goes. If you still get a similar amount of gas, then I’d try taking 1/2 a pill every other day. If that still doesn’t work, then I would try a different strain of probiotic…for example L. Acidophilus.